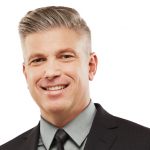 Career educator, author and linguist, Dr. Michael Salvatori is Chief Executive Officer and Registrar of the Ontario College of Teachers, Canada’s only self-regulatory body for teachers. Dr. Salvatori holds a PhD in Curriculum, Teaching and Learning and has served as a core French and French immersion teacher, vice-principal, principal, assistant professor, and director of the College’s membership services department during his 25-year education career. Fluent in four languages, he has authored numerous textbooks and teacher resources. Dr. Salvatori is currently on the board of directors for the Council on Licensure, Enforcement and Regulation (CLEAR), serves as the past president of the Canadian Association of Second Language Teachers and is a member of the Ontario Fairness Commissioner’s consultative committee.